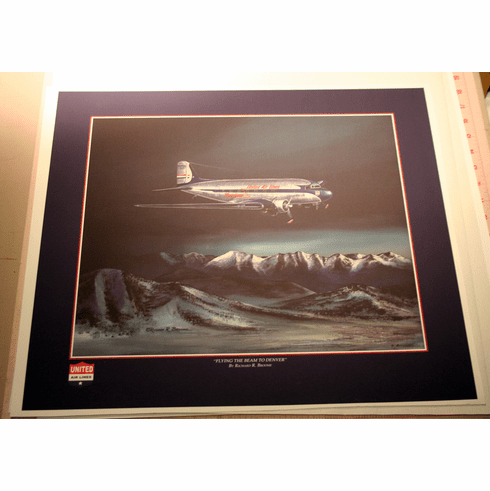 This paper art proof featuring the United Air Lines DC-3 flying into Denver came out a little darker than hoped. Great piece with custom border featuring the United Air Lines old Logo and painting title with United's Red and Blue. 17x20 overall with border. NOTE: Special Shipping for this item on this page. Choose the $0.00 shipping option at checkout to avoid double shipping charge.